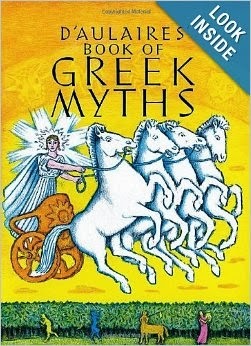 This months theme for Poppin's Book Nook is Greek Mythology. I find mythology fascinating and absurd at the same time, and until now my kids had not been introduced to it (other then a few creatures). I guess I thought the idea of introducing new "gods" may confuse them. Of course as soon as we introduced the concept I made sure to discuss the fact that these are just stories and they are not real gods. I also made sure to choose a story that only had a small amount of mythology in it. I know, I know, that was the whole theme, but I decided to use it to only introduce the concept of mythology. I am sure within the next year or so we will be covering it in more depth. 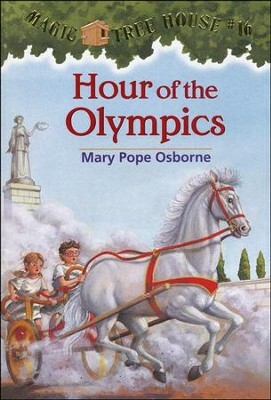 The book I chose was The Magic Tree House #16 Hour of the Olympics. In this Magic Tree House Adventure we travel to the Ancient Greek Olympics. We are introduced to a few players in Greek Mythology including Zeus, Nike, and Pegasus. Although Zeus and Nike are only mentioned, and (spoiler alert) Pegasus saves the day! In the back of the book we read a the little blurb about how Pegasus is said to have "been born" (if you can call it that). The girls thought it was pretty weird, but they were really just super excited about the Pegasus. I knew they would be; after all they love all horse type creatures. This book also gave us a great introduction to the Olympics. I know we just had the summer games 2 years ago, but the girls didn't remember much about it. I am sure once the winter games start, their memories will be revived, but a little bit of history was nice too. 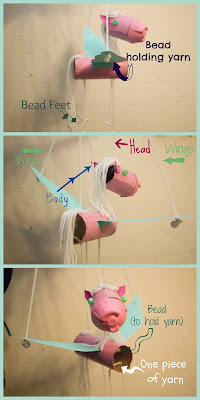 To go along with the book we made some Pegasus marionettes! We started with the tutorial over at Red Ted Art, but we extended ours a little by making the wings move. We also made ours a little differently. 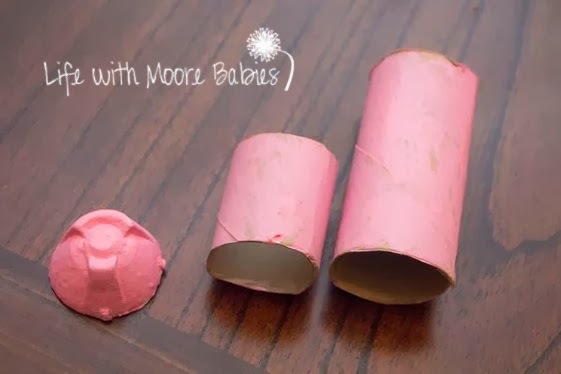 We started with 1 1/2 toilet paper tubes per Pegasus as well as the cup part of an egg carton (just the very top that fits fairly evenly with the toilet paper tube). Although the Pegasus in the story is white, I let the girls choose colors and paint their pieces. Using hot glue, I stuck the egg carton to the shorter tube to make the muzzle of the Pegasus. I also hot glued on the yarn they chose for the mane and tail as well as some beads for eyes. Using a nail I poked a hole in the top of the head and the neck, the front and back of the body, and then four holes underneath for the legs. 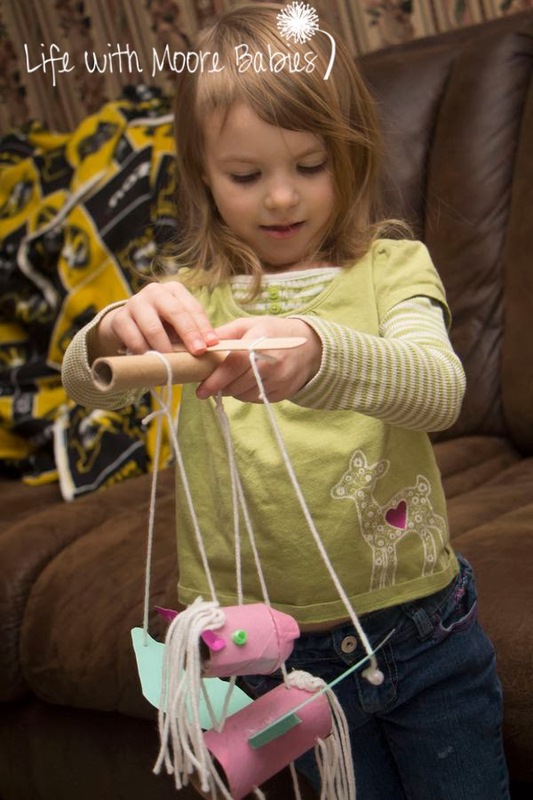 I attached a single piece of yarn to the hole in the neck and the top hole in the body to connect the head using a bead on the inside of the tube to keep the yarn from pulling through. I used a single piece of yarn for each set of legs with a bead at the end for the hoof. 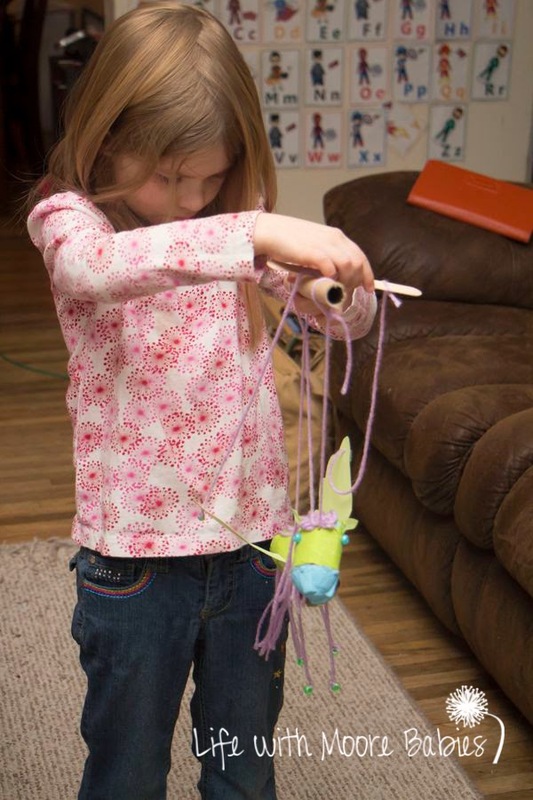 To connect the yarn to make the puppet I put a piece from the top of the head up to the stick, then I used a single piece that went through both holes in the body and attached it to the stick (we were actually using a small cardboard tube). I really hope the picture below can explain the construction better then my rambling above! Then we added card stock ears and card stock wings. I added a second stick (a popsicle stick this time) above the first to attach the tips of the wings too. 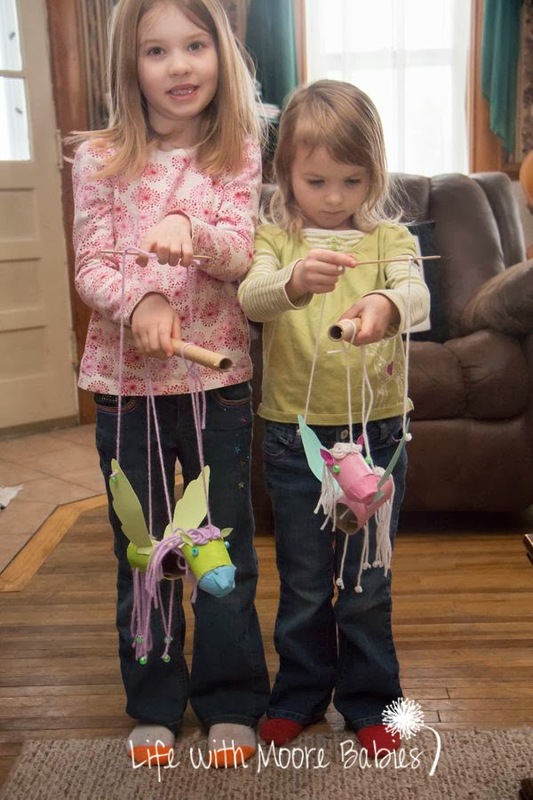 Now using one hand the girls can manipulate the head and body, and with the other hand they can flap the wings! They flew them all through the house for a few days! I was surprised at how easy going the girls were about the whole Mythology thing. On another day it probably would have been non stop questions and weird looks. I'm sure that will be what happens next time the topic arises, but an easy introduction was nice! This month we are giving away a copy of D'Aulaire's Book of Myths to one lucky Poppin's Book Nook Reader! Take a minute to visit all the participating blogs to see their fabulous Mythology based books; then go ahead and link up your own!